DMV.com was created to help simplify your life by providing you with all the vehicle related information and Oklahoma DMV services you may need, in one place. Quickly find information and services regarding driving records, vehicle registration, drivers license renewal, license plate renewal, getting a learners permit, and finding a Oklahoma Department of Motor Vehicles approved traffic school. An Oklahoma drivers license issued by the DPS is mandatory for residents who want to drive. Learn about OK drivers license services. Requesting your Oklahoma DPS driving record does not require a trip to the DPS office. Order your OK driving records online from home today. Oklahoma auto insurance coverage is a DPS requirement for all motorists. Compare OK auto insurance rates and get car insurance today. Oklahoma driver improvement school allows drivers to remove points from their DMV driver record. Discover OK traffic school benefits today. Take an Oklahoma driver practice test before scheduling your written license exam. An OK DMV practice exam can help you earn a license. 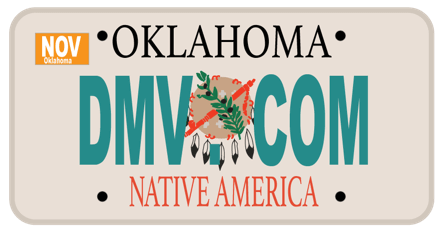 The OK MVD requires vehicle registration for residents who own cars. Learn about new car registration and auto registration services in Oklahoma. OK drivers ed is a DPS requirement for license applicants who are minors. Enroll in OK online drivers ed to get your license conveniently. An OK bill of sale form records a transfer of ownership after a car purchase. Discover how to obtain a vehicle bill of sale from the OK DMV. Oklahoma traffic tickets require the recipient to respond by a deadline. Learn how to pay a ticket online in OK to avoid DMV penalties. A first DUI in Oklahoma results in a 180-day license suspension enforced by the DPS. Learn more about what happens if you get a DUI in OK.
Buying a car online in Oklahoma can help expedite your MVD new car registration requirements. Buy a new car or used car in OK the easy way. Some Oklahoma DMV services can only be obtained at a DMV office. Find the Oklahoma DMV locations that are closest to you. Cut out DPS’s bureaucracy. DMV.com has easy guides for drivers license, vehicle registration, license plate, emissions and other motor vehicle issues online. We give you an easy access to all details connected to the Oklahoma Department of Public Safety. DMV.com is a privately owned website that saves you time and effort in your search for the DMV information you need. We provide you with information on the different requirements for each type of vehicles that include motorcycles, cars and boats. Anything you need at one place – DMV.com is your guide to obtaining or renewing a driver’s license, choosing the best insurance for your vehicle and much more. Navigating around our website is very simple. You can start with the “search” feature or use the navigation sections to find the exact information you need about Oklahoma DMV. Read our list of articles and you will find the info that you need in no time. Our website already contains a great deal of useful facts about each state’s DMV and we would like to ask you to contribute to upgrading the site to a higher level – join us on Facebook, give us your suggestions and be part of our successful story.